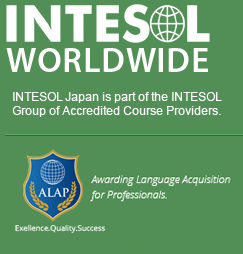 All of the teaching staff at INTESOL Japan have a high level of education and years of experience teaching English to speakers of other languages. We look forward to wishing you a warm welcome. Rocco has been involved in the TEFL industry for more than 20 years as a teacher, teacher trainer, academic manager and examiner. He is currently based in Brisbane, Australia and has previously worked for several years in Japan and China. His initial studies were in Electronic Engineering, and afterwards he completed a Master of Applied Linguistics through Macquarie University in Australia to add to his CELTA qualification. Rocco sees teaching English as a foreign language as a fantastic way to travel and immerse yourself in other cultures. He has been in online English industry for more than a decade. He has a bachelor’s degree from Sophia university, Tokyo. He likes traveling to foreign countries and singing songs in karaoke. As a university-qualified ESL teacher, Liz has taught English in a number of different countries within Asia and Europe to a range of students from 5 years old to adults. 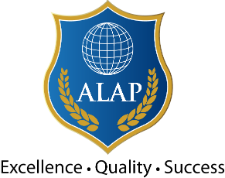 She has prepared her students for Cambridge exams and worked with them to improve their general and Business English language skills. This range of experience has given her a good understanding of the varied situations teachers and trainee teachers can encounter in the classroom and the variety of students they can be working with. This breadth of experience along with her previous experience in Workplace Training and Assessment has enabled her to coach new teachers within the classroom setting. Stephenie’s background is originally in architecture, but she has also been involved in teaching English as a second language in Japan and online. She has previously taught and mentored young learners and has experience in teaching spoken English to adults. Stephenie also has a love of travelling and experiencing other cultures, having spent several years abroad in Europe, Asia and North America.